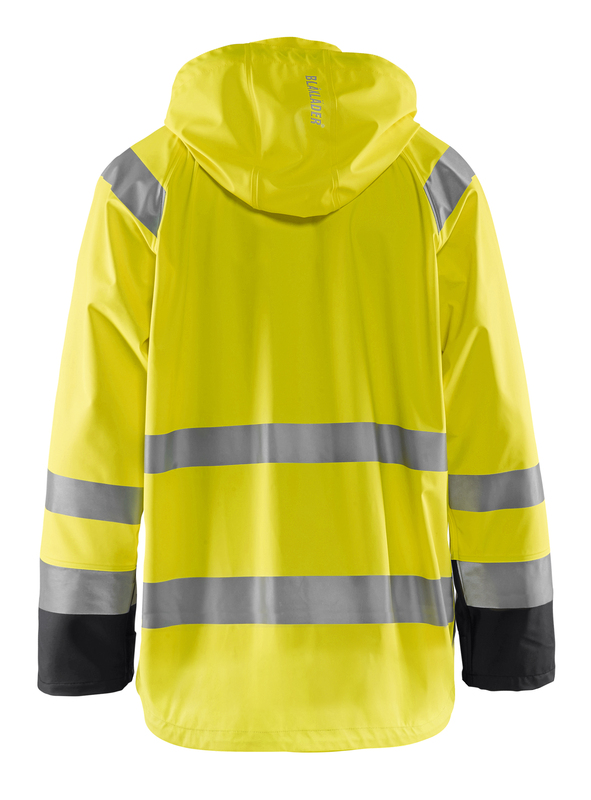 Hi vis rain jacket with extended back. 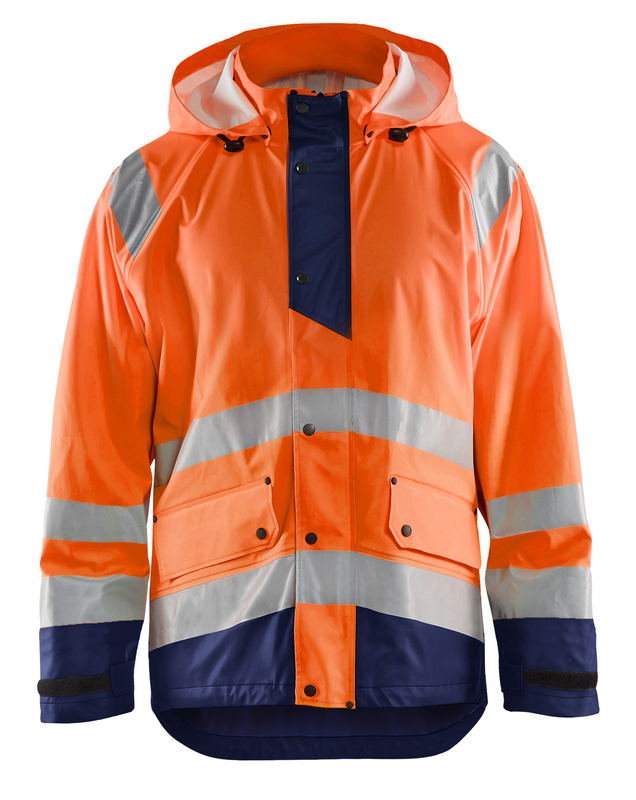 This lightweight rain jacket gives you high visibility in the workplace when wet weather and poor visibility can make working conditions difficult. The material is strong and durable even though it is lightweight, wind and waterproof and with welded seams. 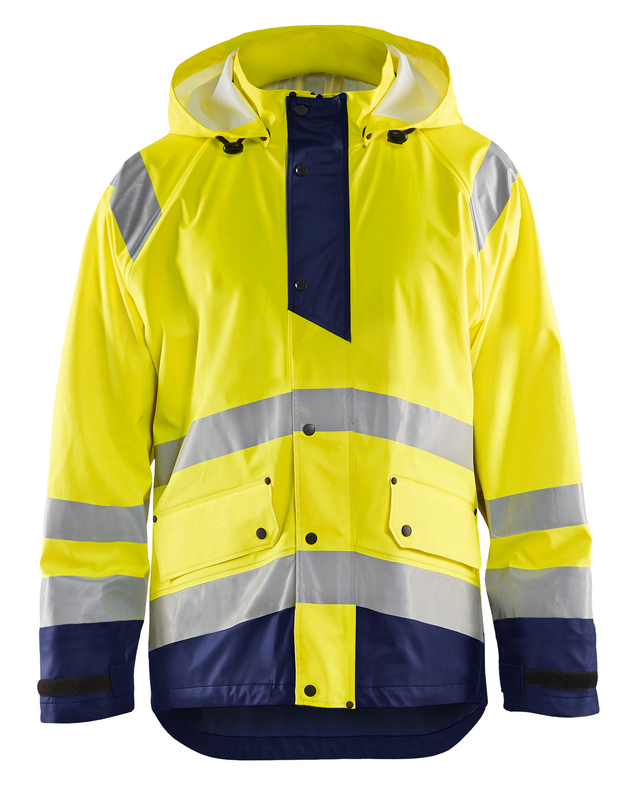 The jacket has an extended back and adjustable bottom edge with easy-access front pockets with flap and sleeve cuffs with Velcro. 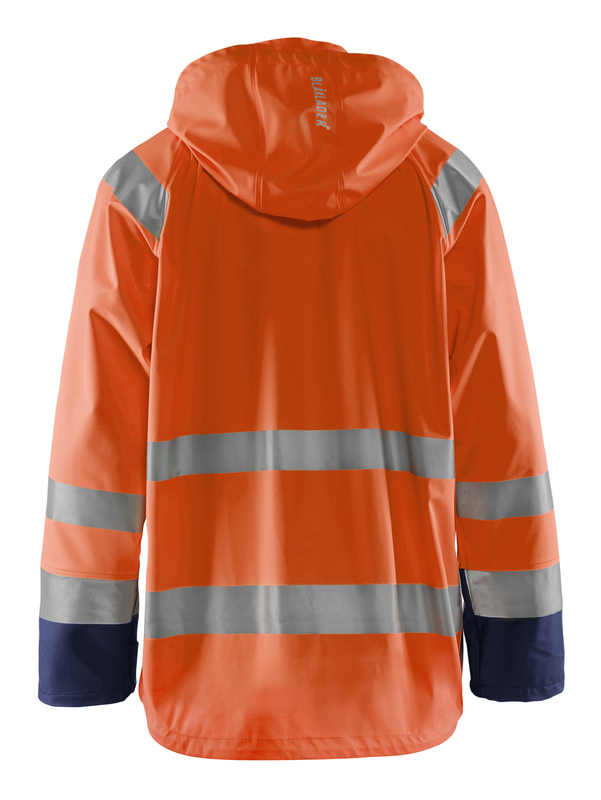 Certified to EN 343, Class 3.1, protective clothing against bad weather and EN ISO 20471, Class 3, protective clothing with high visibility.